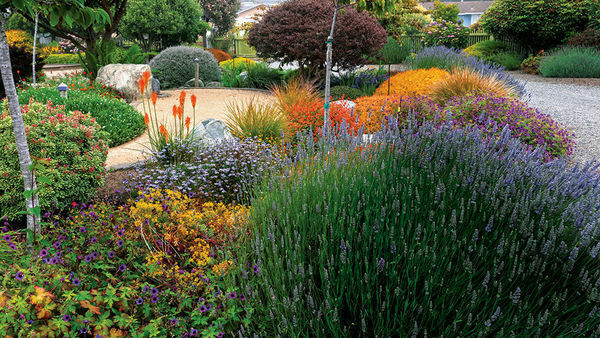 Understatement has its place in garden design, but every now and then, you need a plant with impact, one that stands up and demands attention. 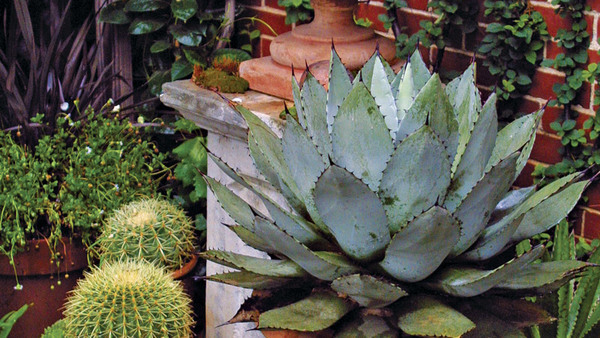 You know the type: those sporting outrageous color, enormous leaves, or outlandish textures. 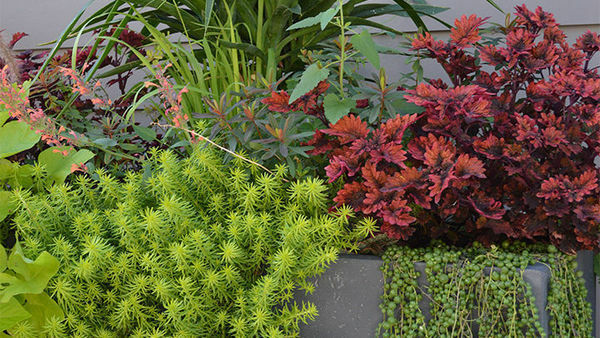 But with plants, as with people, glamour sometimes comes with a fussy temperament, so I’m always on the lookout for perennials and woody plants that make a statement but require relatively little care. 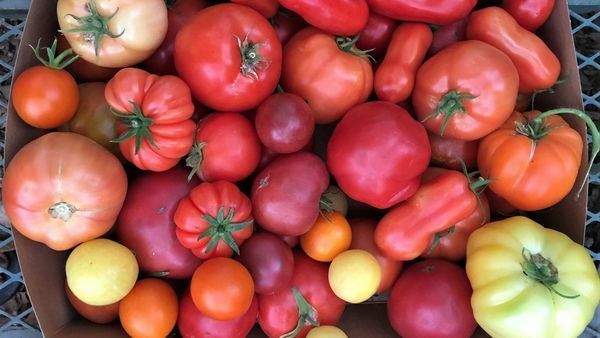 Here are six flamboyant favorites of mine, all of which are as easy to grow as they are eye-catching. While many purple-leaved plants fade to green as the weather warms up, Black Lace™ elderberry holds its sultry hue all summer long. 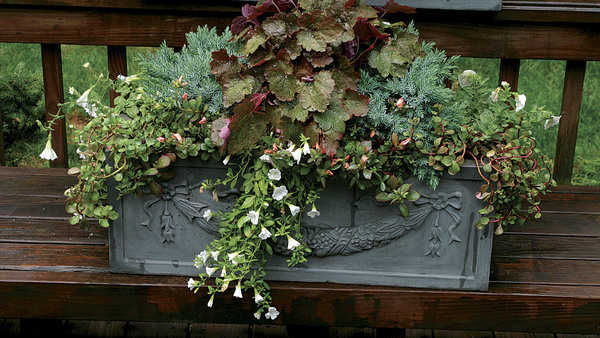 With its deeply cut, feathery foliage, this care-free shrub makes a dramatic yet fine-textured accent plant. 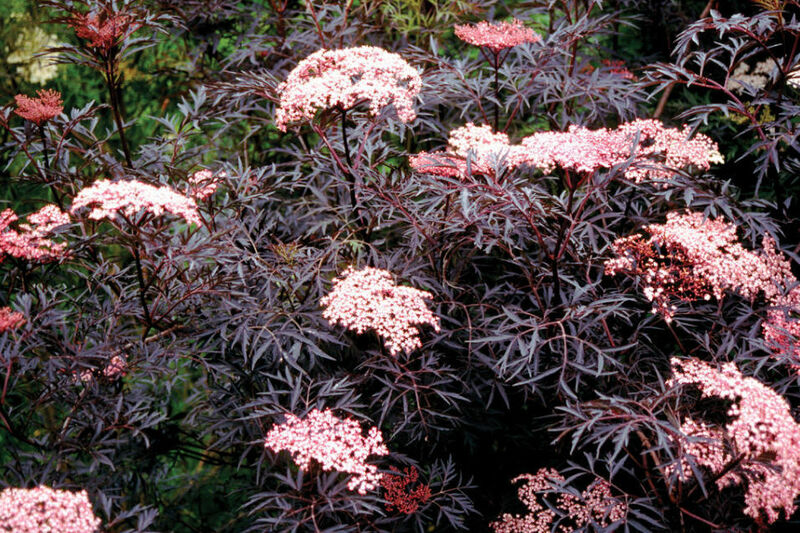 As an added bonus, this elderberry’s purple leaf color infuses its wide spring flower clusters, turning them from the typical dull, greenish white to a lovely soft lilac-pink. 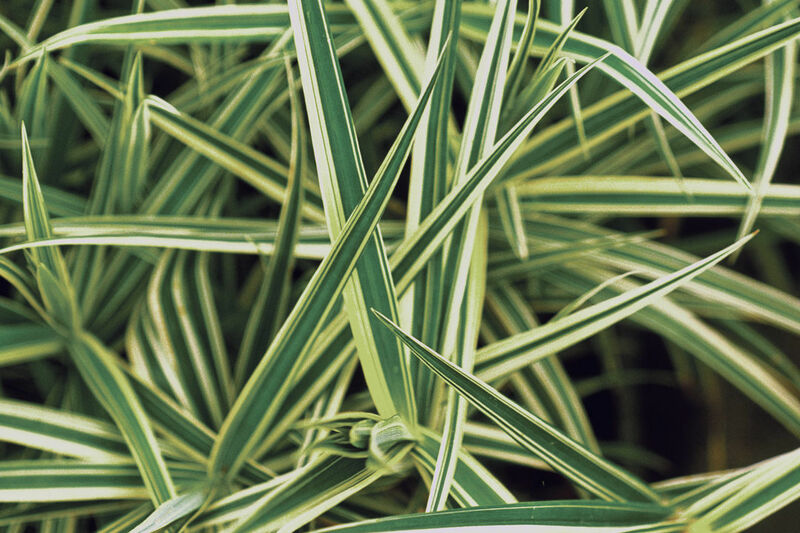 Try planting Black Lace™ with the white-variegated ‘Cabaret’ miscanthus (Miscanthus sinensis* ‘Cabaret’, Zones 4–9) for an eye-popping display of contrasting form and color. No-fuss qualities: Disease-free; tolerates all types of soil and climate conditions; grows rapidly but is noninvasive; blooms continuously. This sprawling perennial dots its lime green foliage with 2-inch-wide flowers in a magenta so intense it looks electrified. A distinct black eye at the center of each flower adds to the impact. ‘Ann Folkard’ hardy geranium starts blooming in late spring and doesn’t let up until the first hard frost cuts it down. 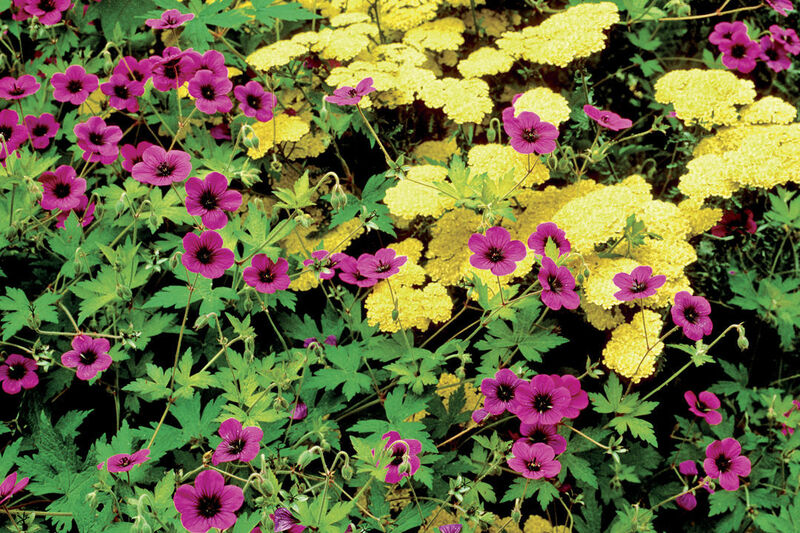 With its bold color and constant blooms, this hardy perennial commands the spotlight. like fireworks from the end of its upright stalks. 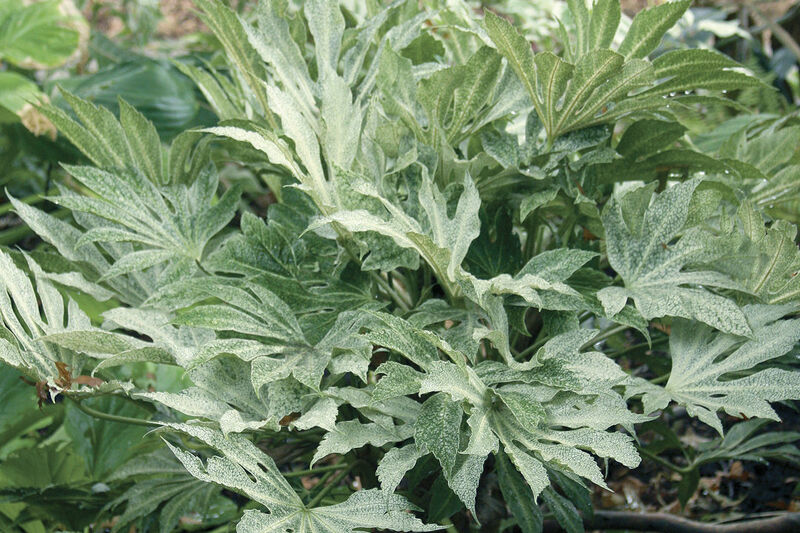 With its unusual form and crisp leaf markings, ‘Sparkler’ is lively company for other shade-loving foliage plants. Deep maroon foliage with silver-and-black chevron markings and bright red stems make this big clumping perennial a standout along borders. Although the minuscule white flowers of ‘Red Dragon’ persicaria don’t add much to the picture, blazing orange, gold, and scarlet fall colors are a welcome bonus. Some members of the genus are maintenance headaches, with invasive stolons that spread around the garden; ‘Red Dragon’ has better manners and stays put. 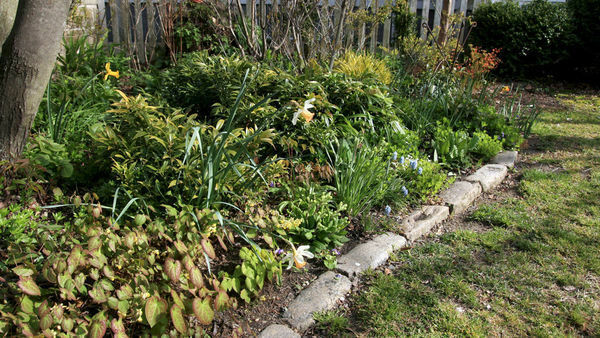 Don’t overdo it A garden with too many flamboyant plants is a lot like a dinner party where every guest is a dazzling extrovert: The sensory overload can detract from the merits of each individual. 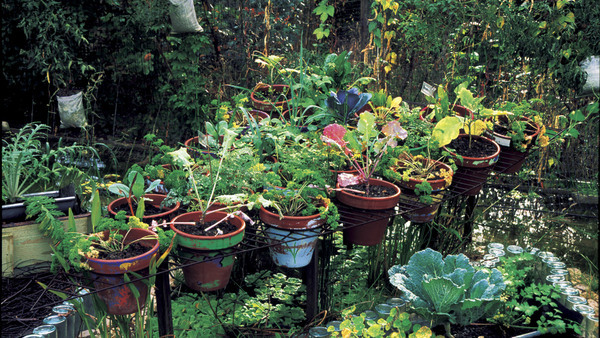 Dole out your most extravagant plants care­fully and with purpose. Mind your punctuation I use attention-grabbing plants as punctuation in the garden. Situate them at anchor points, such as at the ends of beds and borders or at the point where two pathways intersect. I also use them to mark transitions between spaces. Large showy plants can play the same role as a statue or water feature because their flashy looks make them natural focal points. Choose complementary companions The right company can bolster the impact of even the most sensational plant. Look for contrasting combinations. The explosive form and bright stripes of ‘Sparkler’ sedge, for instance, are twice as bold when rising out of a dark, fine-textured carpet of ‘Platt’s Black’ brass buttons (Leptinella squalida ‘Platt’s Black’, Zones 4–7). 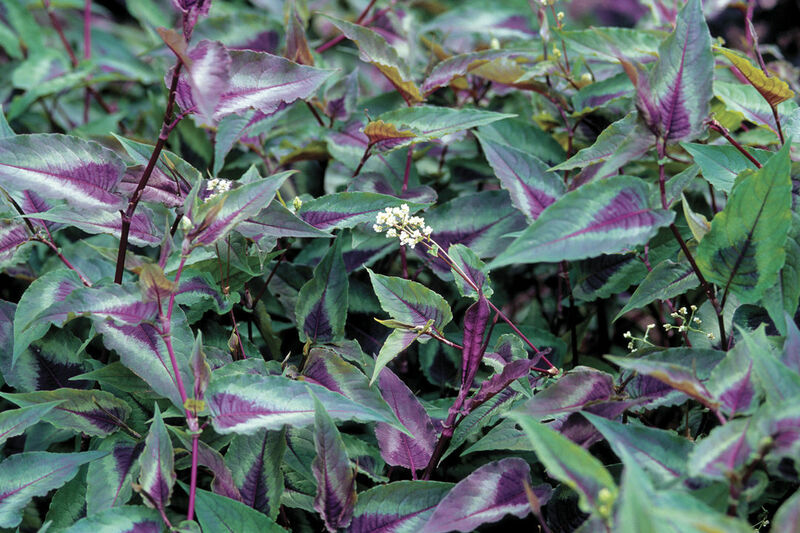 Or pair the dark burgundy of ‘Red Dragon’ persicaria with gold or silver foliage. 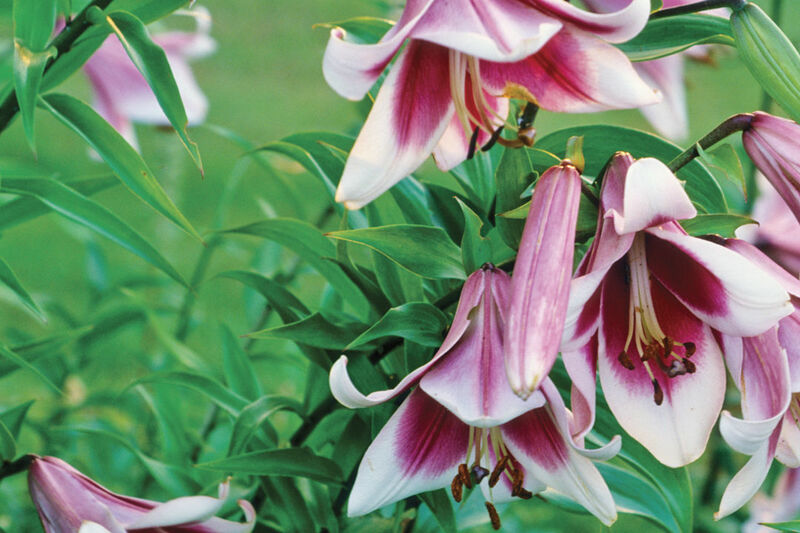 Tall, fragrant, and colorful, with remarkable health and vigor, ‘Silk Road’ is a standout among the new breeds of Orienpet lilies. Dozens of flamboyant, 6-inch-wide, red-and-white blooms top its sturdy 6- to 7-foot-tall stalks in July and August. 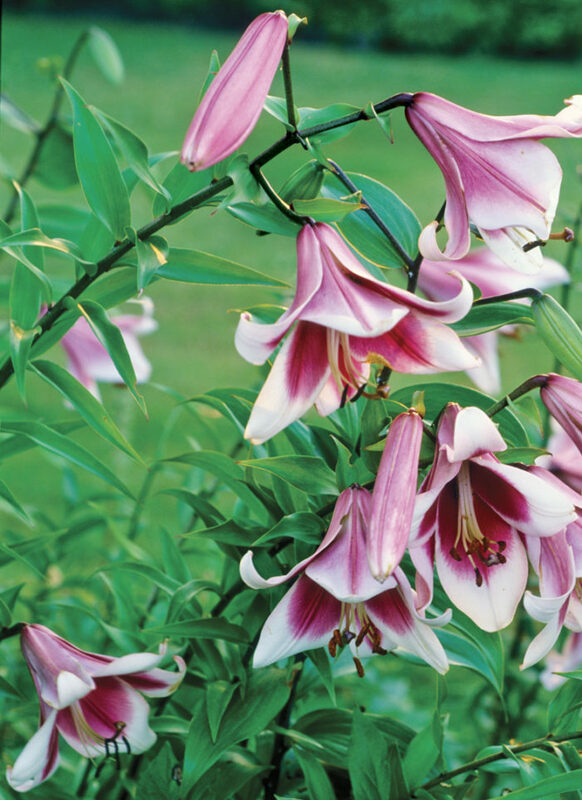 Tall lilies, such as ‘Silk Road’, offer loads of color and fragrance without taking up much space. Give the big bulbs fertile soil and good drainage, then stand back and watch them increase in size and number from season to season. 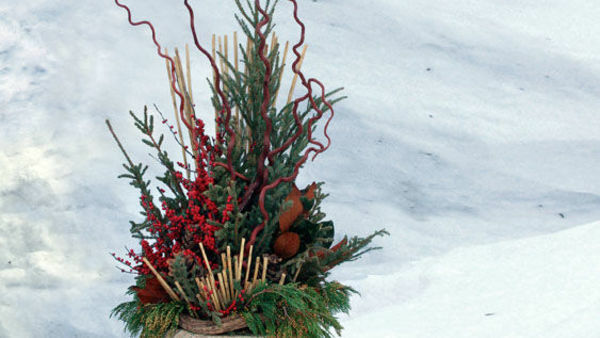 for several weeks and are superb in dried arrangements—that is, if you can bring yourself to pick them. For all its outlandish looks, ‘Jade Frost’ is as tough as nails once it’s established. 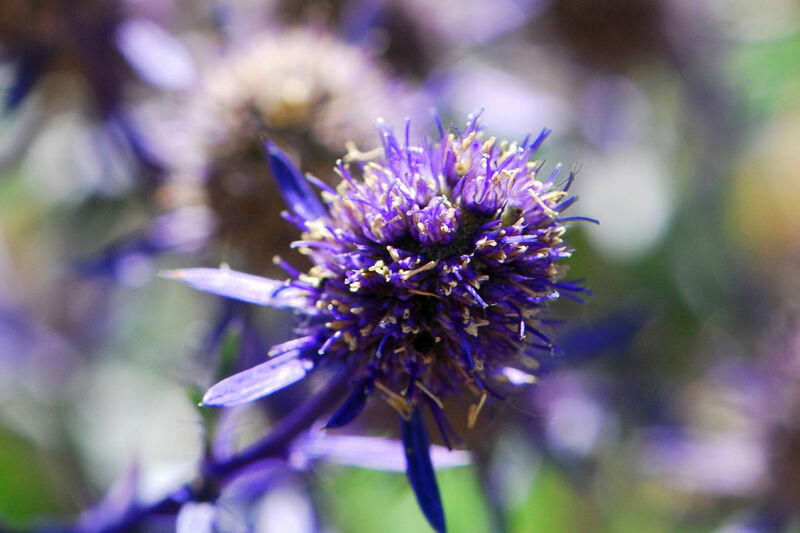 If its cream variegation is too ostentatious for you, the long-lasting, brilliant blue flower heads and unmarked foliage of ‘Sapphire Blue’ sea holly offer a less extreme option. I can’t remember the last time a single cultivar gave a plant the kind of new lease on life that ‘Spider’s Web’ has for paper plant. Big, bold, and tropical, paper plant is one of the toughest and most impressive of the large shade plants, but I’ve always disliked how its dark leaves and coarse texture make shady settings feel even gloomier. Enter ‘Spider’s Web’, whose palmate leaves bear delicate cream-colored tracery that magically transforms the plant from ponderous to weightless. The bombproof constitution remains intact, and though ‘Spider’s Web’ grows slower than others of the species, that’s a plus in small gardens. 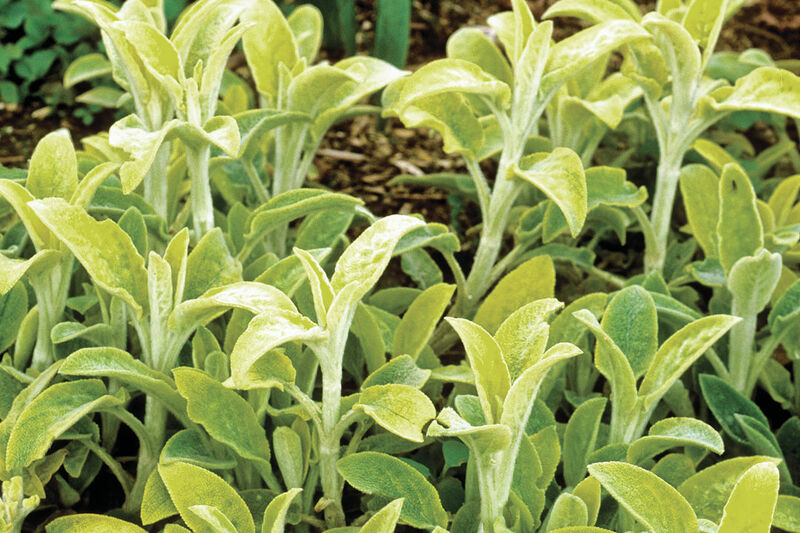 Lambs’ ears is beloved for its fuzzy silver foliage, but ‘Primrose Heron’ adds a vibrant twist with its gold-to-chartreuse leaves that shimmer brightly beneath a layer of white down. ‘Primrose Heron’ is a snap to grow, and a few of these moderate spreaders will quickly form a dense, weedproof ground cover or edge planting. It’s especially attractive combined with blue or violet Siberian iris (Irissibirica, Zones 3–8), campanula (Campanulaspp. and cvs., Zones 3–9), or flowering sage (Salviaspp. and cvs., Zones 5–11).